Darkness steals into the very heart of Camelot as Morgana and her puppet queen hatch a sinister plan to murder the king. After the last episode’s rather odd twist, in which Gwen became evil due to exposure to Morgana we discover that Morgana’s real plan was to get Gwen to hatch a plot from within Camelot itself and to frame someone else so that she could become Queen. Rather than simply ditching the plot line in the next episodes, the creators of the show made a brave decision and decided to carry on with the idea of an enemy within Camelot. This was a terrible decision due to the fact that this idea had already been used in Merlin, a few series back with Morgana. There are a few good moments with this idea; like the scene in which Arthur is dying and Sir Leon tells Gwen that they need a leader, not very subtly implying that she should become Queen. Gwen’s pretence at surprise at this suggestion is excellently played. However, generally the idea feels reheated and rather like the popular American TV series Homeland (In which a former Soldier from Afghanistan is suspected of being converted to become a member of Al Qaeda who will destroy America from the inside out.) which as such does not really fit with previous Merlin stories. I hope that the creators of the show will soon fix this utter miss characterisation soon. Colin Morgan is fantastic as Merlin in this story. Morgan shines mainly in the scenes in which he uses an aging spell to slip past the guards and get to Arthur to stop him from dying. Older Merlin is played excellently by Morgan as in the previous story he appeared in. The comedy mainly lies in the scene with the cook. Merlin tells her that her food is terrible and she rather violently responds that it is not. The scene is timed very well and is not drawn out but is not too short to make us feel that we have missed anything. Morgan is also funny in a later scene in which after curing Arthur, Guyus asks him to leave the way he came up (via the castle wall). The surprised look on Morgan’s face is very funny and without a word he goes back to the castle wall and goes back down. Hopefully, we will see more of Morgan’s excellent comedic skills in future episodes. Even with its plot faults, A Lesson in Vengeance is still quite a good episode. 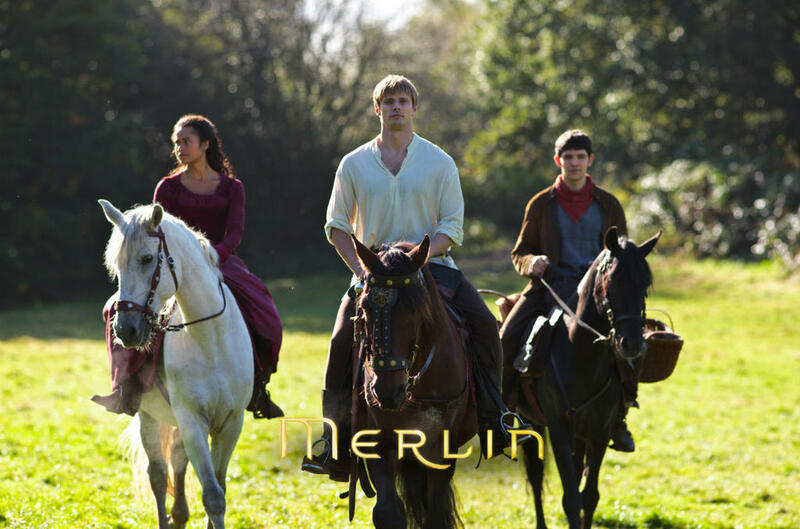 If Merlin is to succeed as a series however, I hope the show’s creators resolve the terrible new characterisation of Gwen.